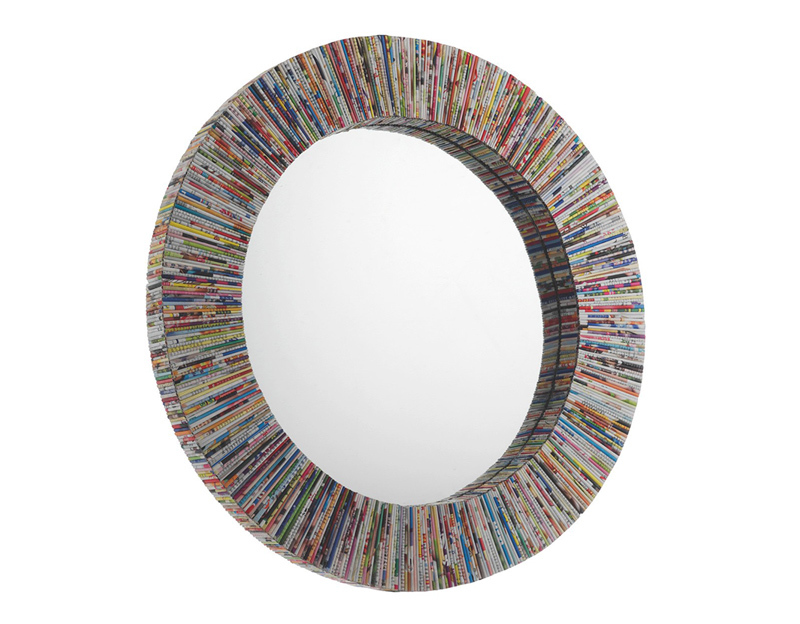 Got stacks of old magazines? Here is a list of some DIYs you can make with it. Do you love to read and you have so many magazine subscription that they are now filling up your shelves and gathering dusts? Well, you can do something about it. Of course, you can just keep them there if you want to because these are actually great references but you can also choose to use them in a different way by recycling them and creating something new from them. After all, you are done reading them anyway. 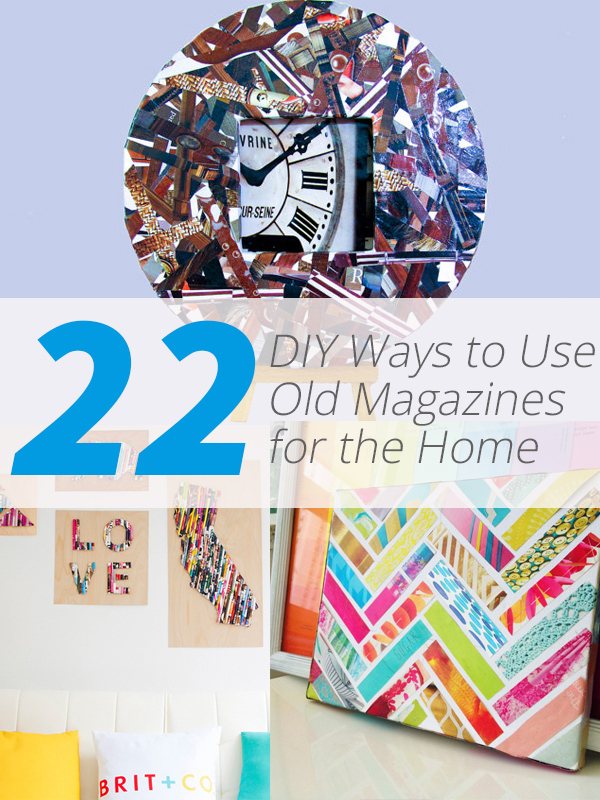 So, if you are looking for new ways to use your old magazines, we have gathered some DIYs that you can try using the colorful magazine pages. 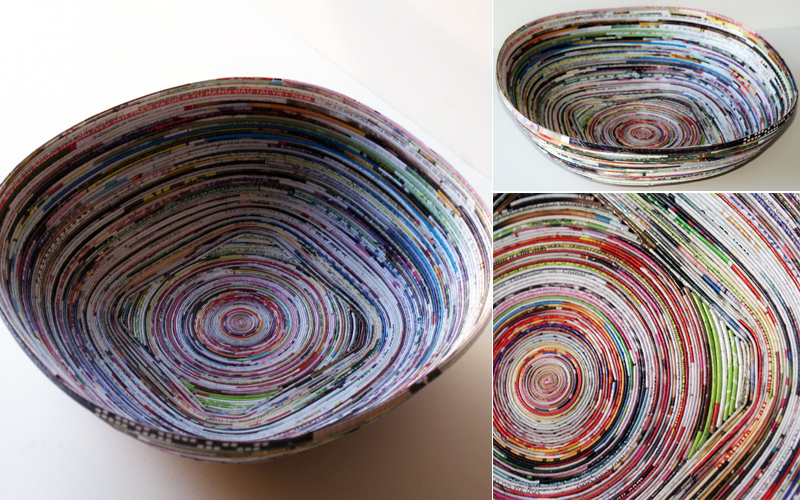 This way, you will not merely throw the magazines away but you will be able to make something lovely out of them. 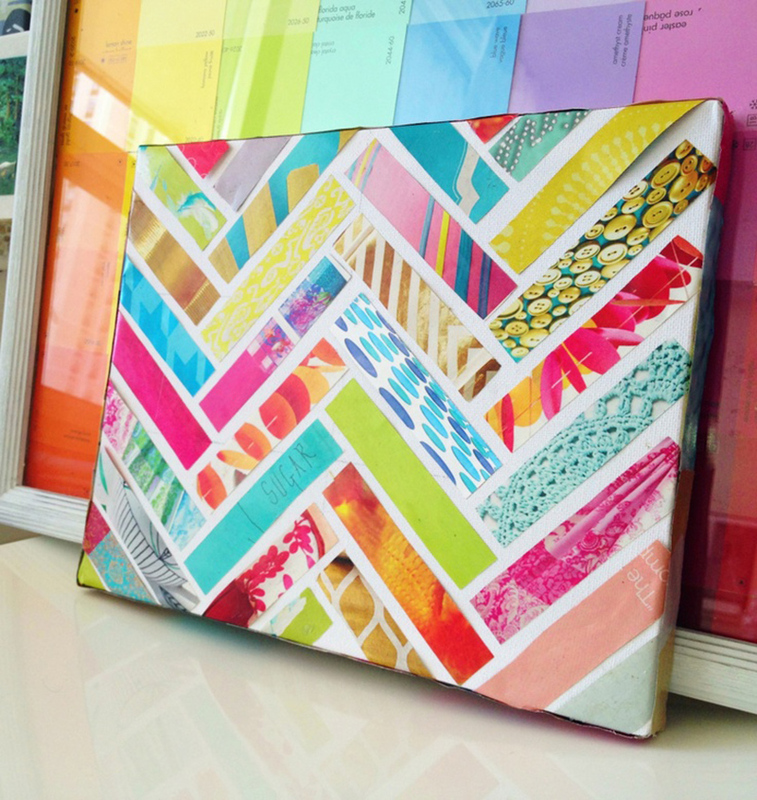 You can try making a stool, a bowl or some wall arts to add more color to your walls. Scroll down and take a look at the list we have here for you. 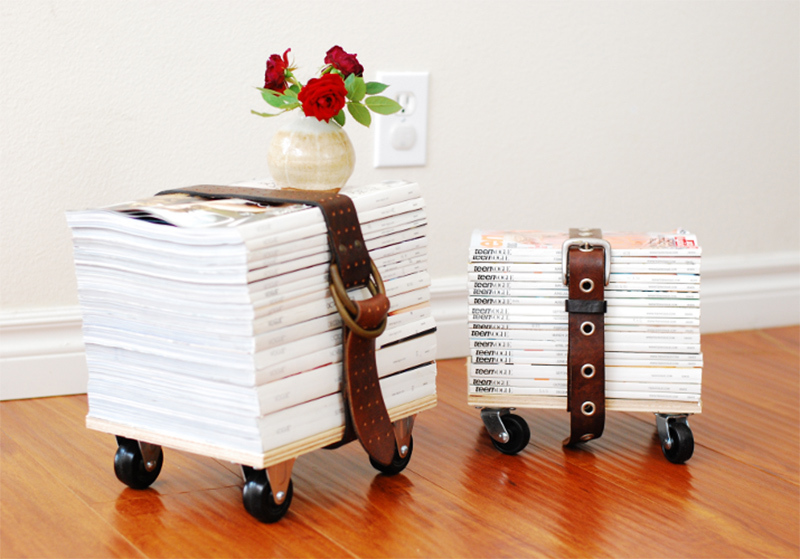 Pile up old magazines on a wood with wheels and tie them together with a belt to make a new creative looking stool for your home! This one is a new way to create storage for your pens and other office items. Watch this tutorial so you will know how to make it. Guess this would look better if you it is painted. 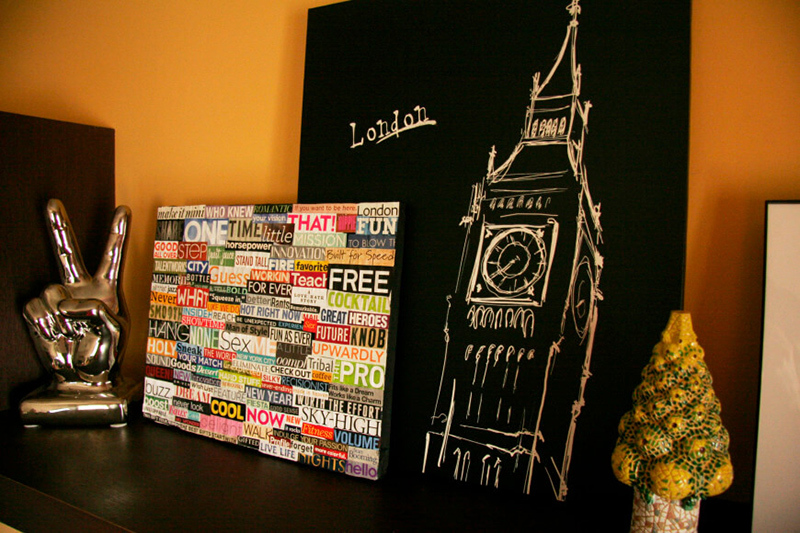 These are super cute wall decors! 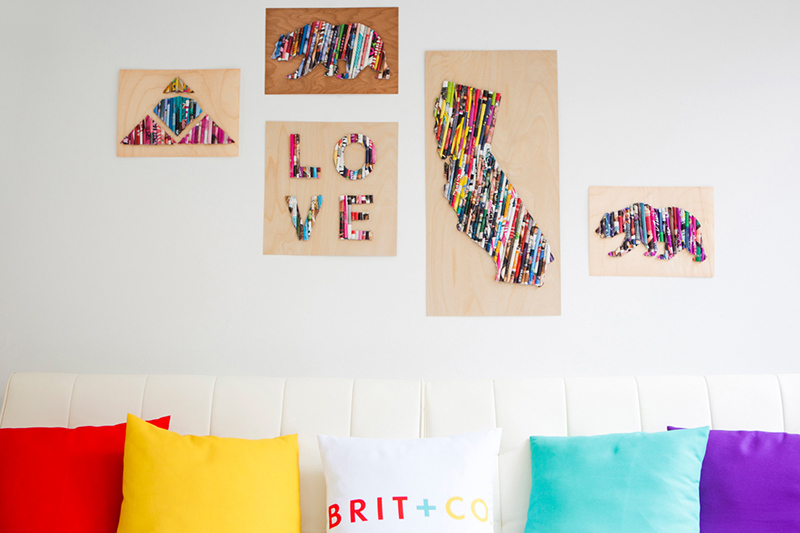 Just roll some magazines and form various shapes using it then glue them to plywood to get this lovely set of wall art. 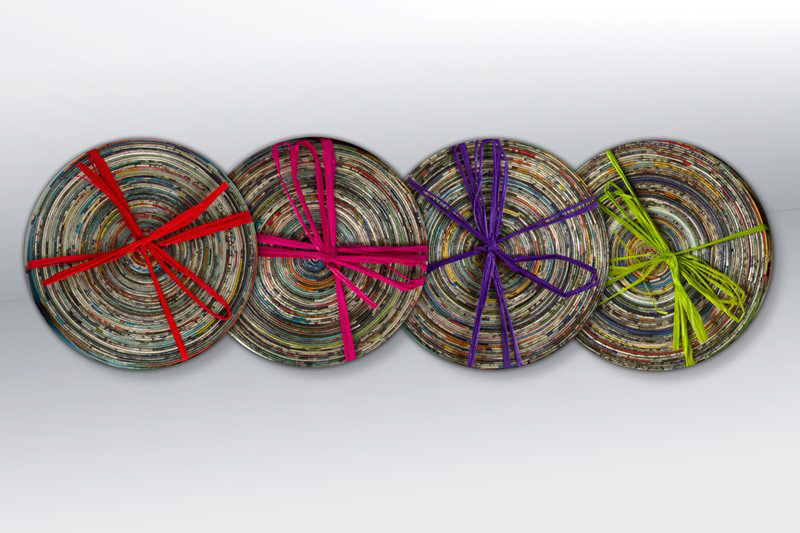 You can also weave the magazines together to create a coaster like this one. You can choose to use various colors to come up with your coasters. I used to make these when I was still a kid! 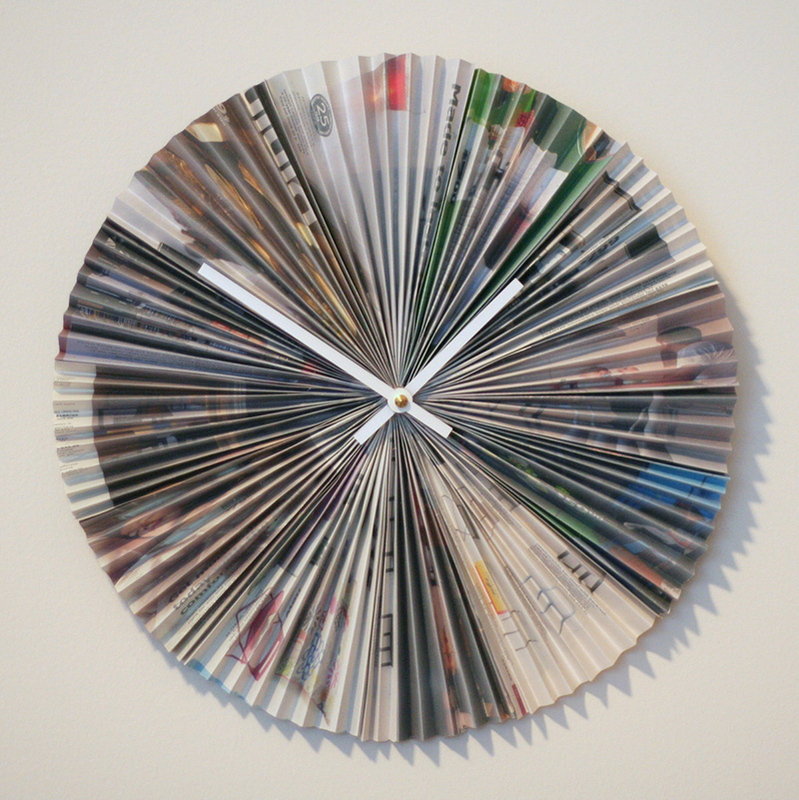 You can also make a clock out of the magazines by folding them like an accordion and then add the clock in there. Just simple and easy. After you cut strips of magazines, glue them all on a board then be creative in cutting various forms on a black paper and put them on top of the colorful magazine. Tadah! You got a colorful wall decor! 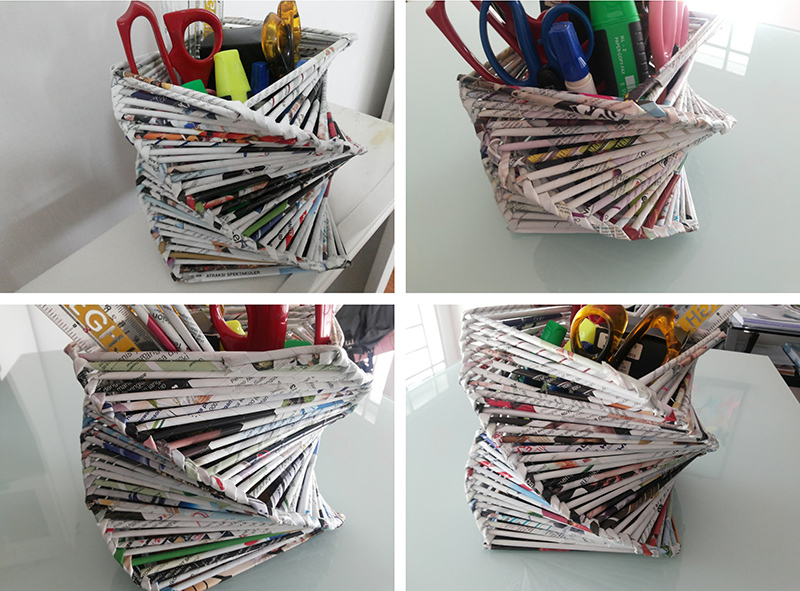 Now if you need something really useful that you can use to store tiny stuff like earrings, keys and others, why not make a recycle magazine bowl like this? 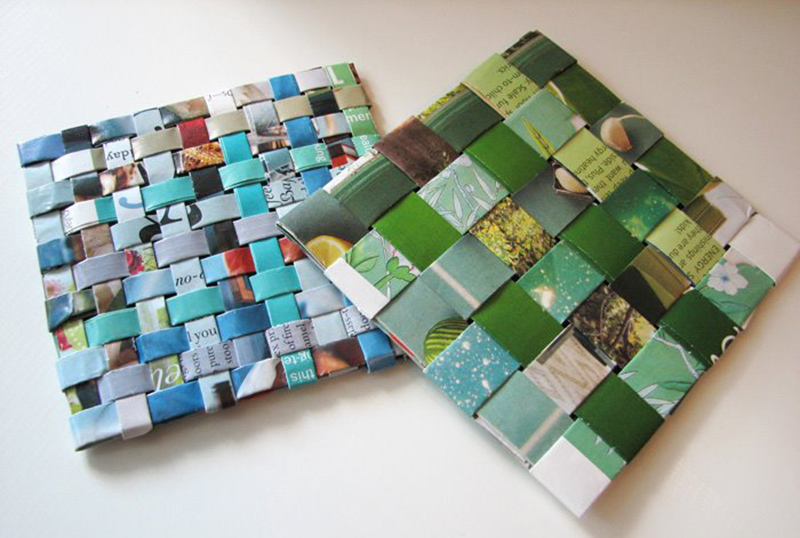 A different way of making coasters using ceramic tiles and magazine cut outs. Simply look for the designs you like and Modge Podge them on the ceramic tiles. The process in making this is the same as the bowl but this one comes with a lid. Another nice way to store some things! Gather all your magazines and cut different words from it now glue them all together on a board to make a creative and beautiful decoration. Now this one blew me away! 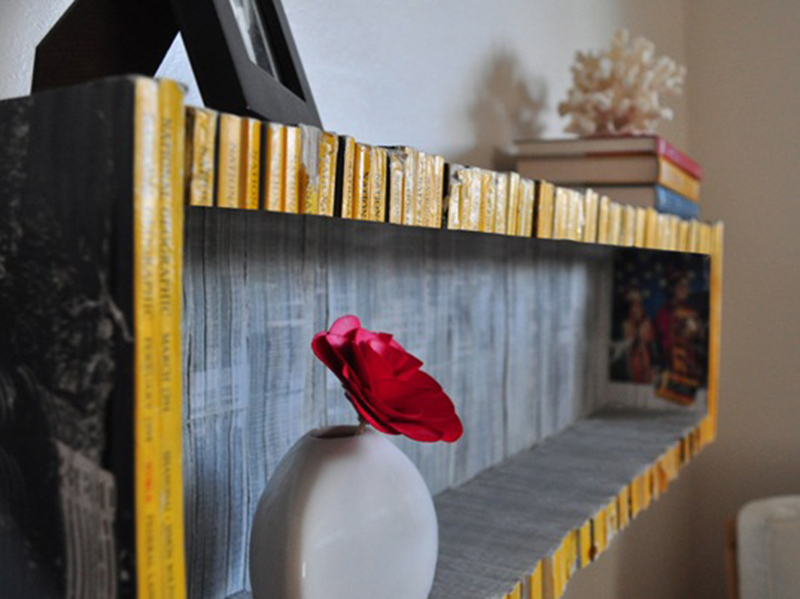 Who would think that you can actually make a bookshelf from old magazines? But it does require a lot of gluing and cutting! 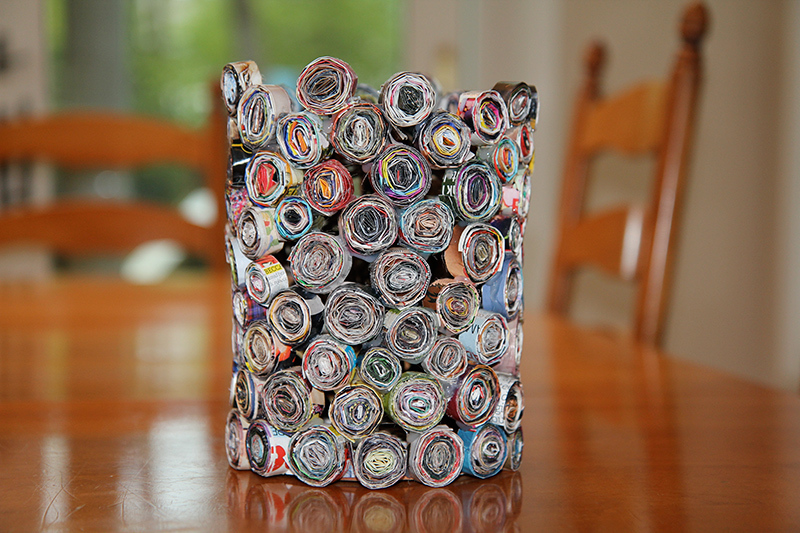 Make a unique vase by rolling magazines and sticking them together. Guess you can also trying squares as well aside from the round ones you see here. For sure there are many different prints and patterns on your magazine. 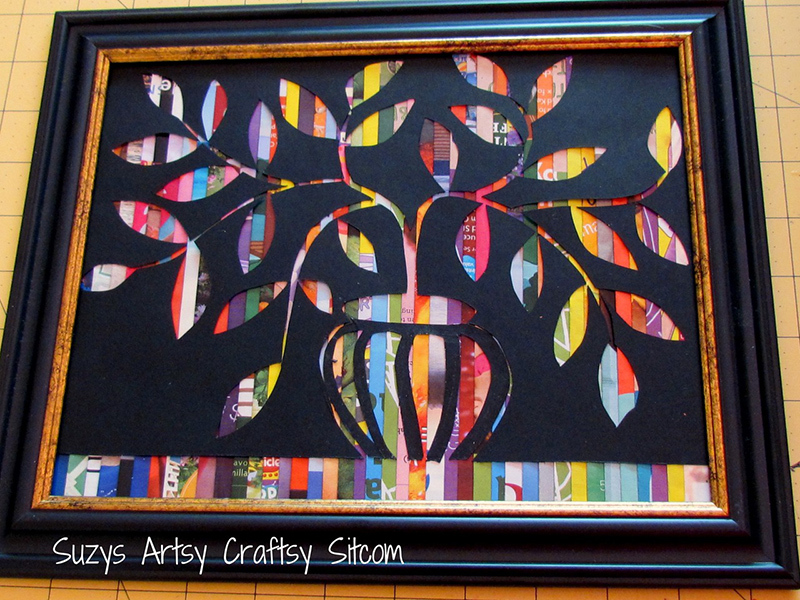 Cut them in strips and put them all together in a wall decor like this one. This wall art can be done by rolling magazines. Then add those mirrors on top of it. I actually like how this one turned out! Very creative indeed. 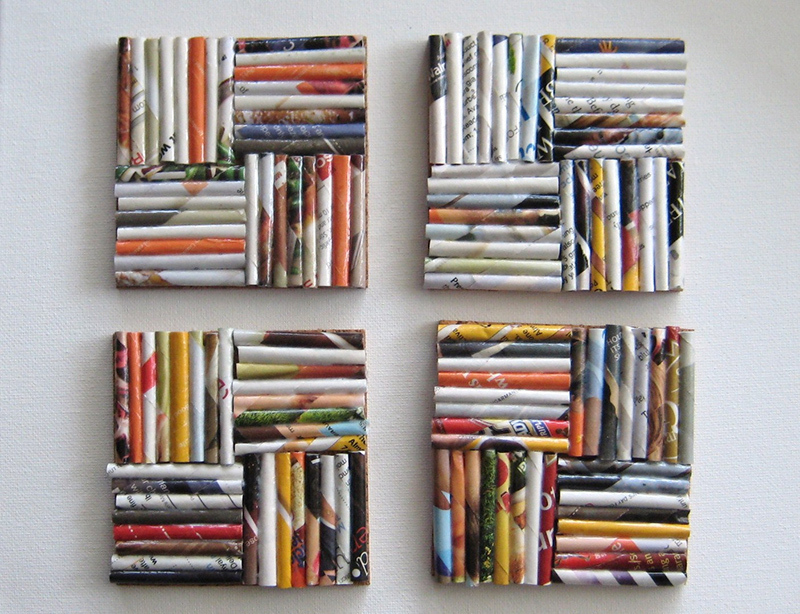 Another way to make coasters using rolled magazines. Apparently, you can see the process of how this one is done merely by looking at it. Roll magazine strips together and then flatten them or just fold them together and then create squares like then to make a magazine photo frame! Now this one sure takes time to make! 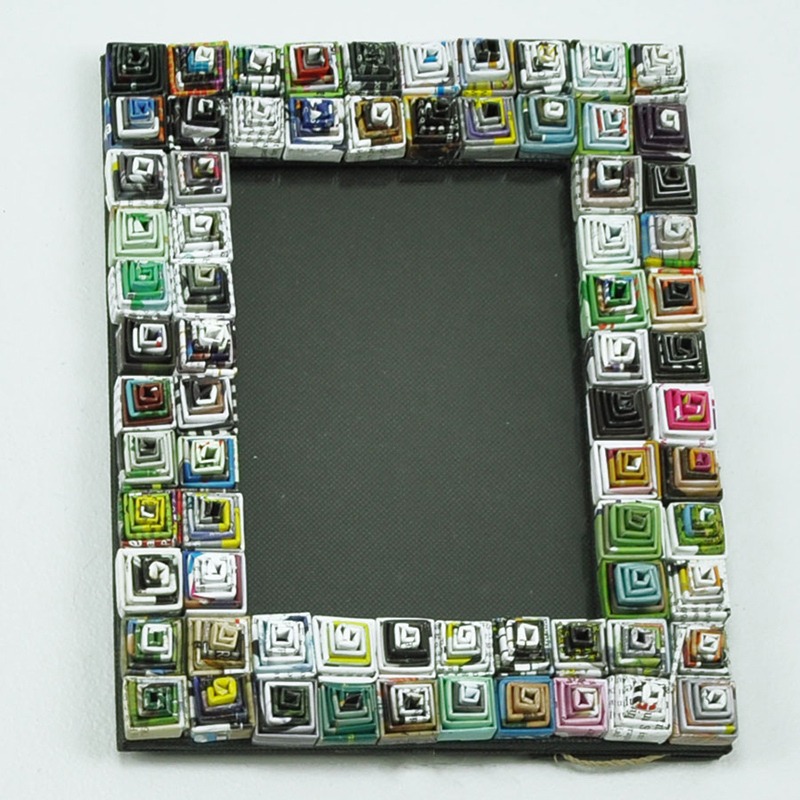 But it is sure worth the time and effort because the mirror looks nice with its magazine frame. 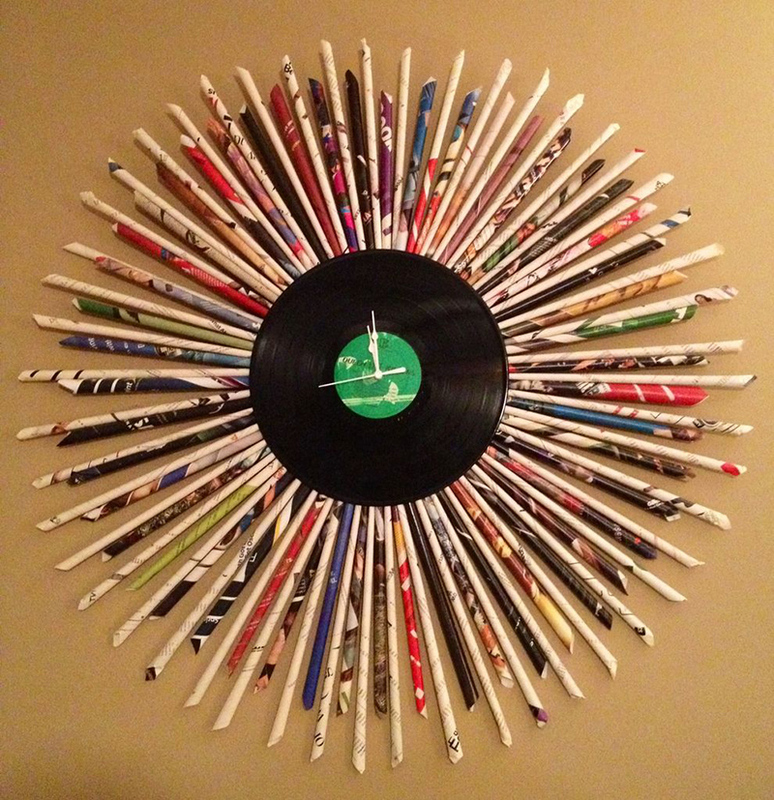 Another way to make a clock using old magazines and an old record. 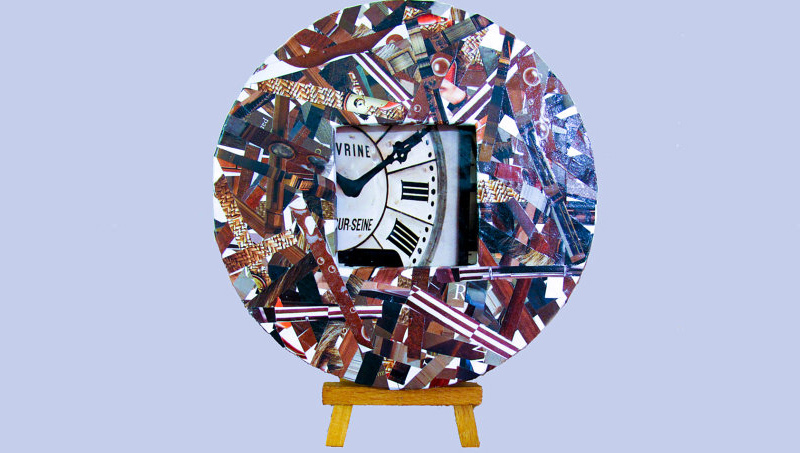 Put the two items together to make your unique wall clock. Now this is a different level of using rolled paper! 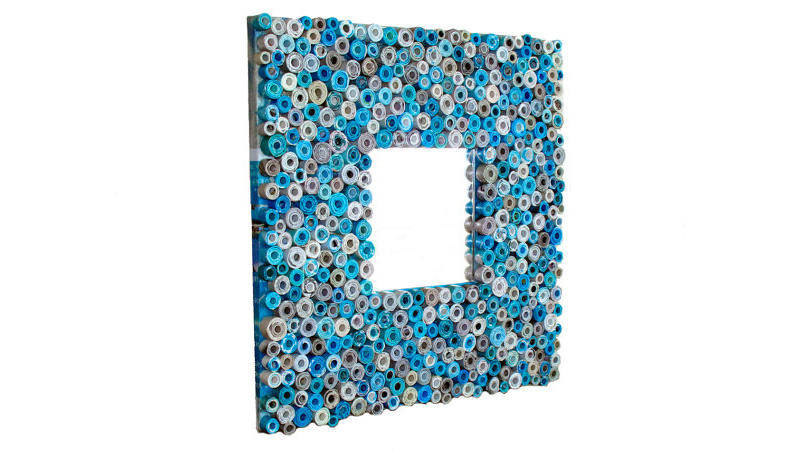 Create a stunning frame just by rolling magazines! Isn’t this lovely? Want new coasters? Cut magazine strips and roll them together. They can even be perfect gifts for guests as well. Add a ribbon on them and be creative so your guests will be happy to receive a DIY present. Got an old boring frame? 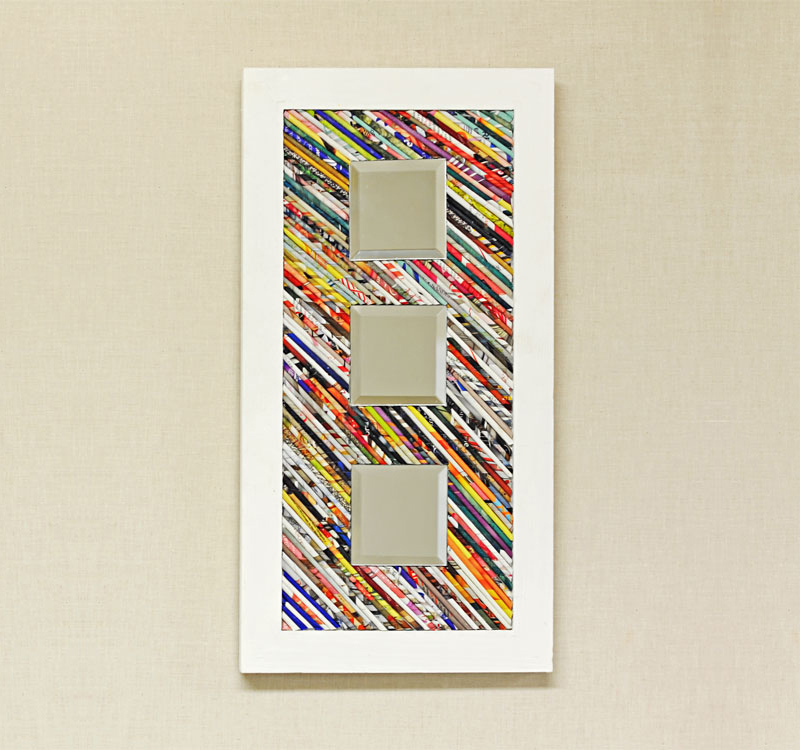 Cut some magazine pieces and cover it this way to create a beautiful frame. You can try something monochromatic like this or you can mix various colors as well. This is so cute. 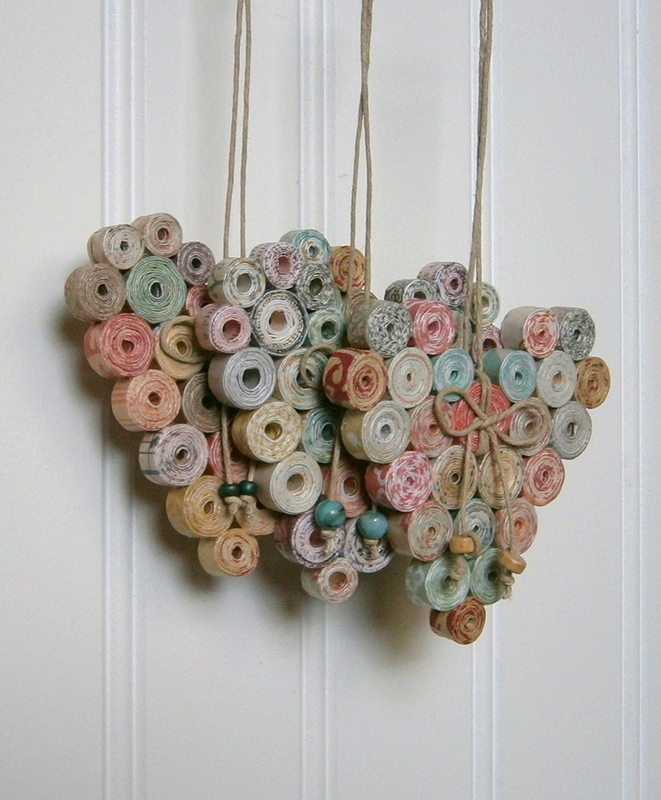 If you have a thing for hearts like me, you can try making this one so you can hang this on your door or just anywhere in the house where you want to add a decor. Isn’t this fun? 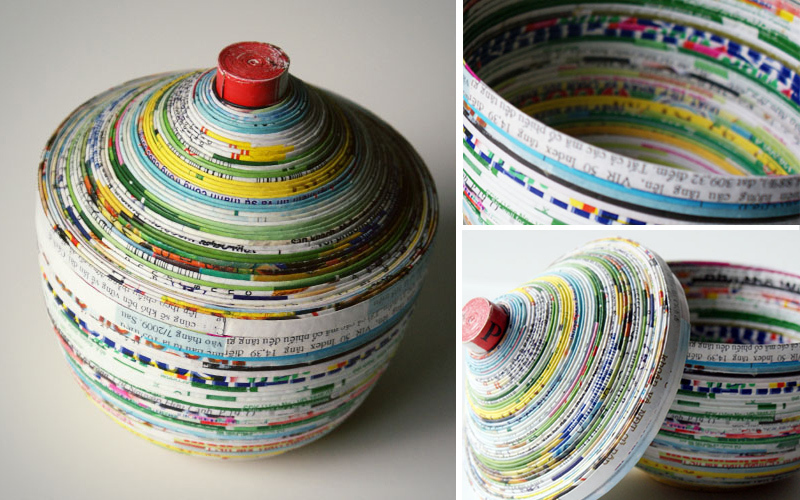 Who would think that you could actually make many lovely things from old magazines? So instead of throwing them away, make something worthy from them. At least, you are able to save a lot of garbage and you have a new stuff at home. You can also try other things to create too just be creative about it.